New Kids On The Block is a year-long series on Pop! Goes The Reader meant to welcome and celebrate new voices and debut authors in the literary community. 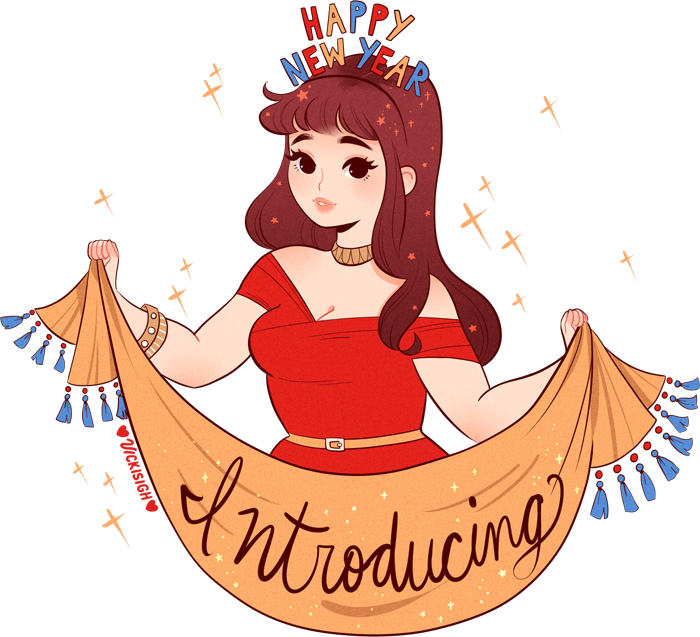 Are you a debut author whose book is being published in 2018? It’s not too late to sign-up! If you want to participate in New Kids On The Block this year, please don’t hesitate to get in touch! You can send a tweet or DM on Twitter to @Pop_Reader or email me at Jen@PopGoesTheReader.com. I would love to collaborate with you! 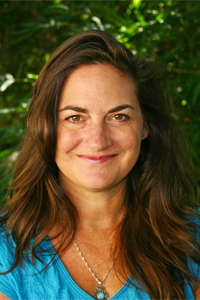 Samantha M Clark is the author of The Boy, The Boat, and The Beast (Paula Wiseman Books/Simon & Schuster) and has always loved stories about ordinary people in extraordinary circumstances. After all, if four ordinary brothers and sisters can find a magical world at the back of a wardrobe, why can’t she? While she looks for her real-life Narnia, she writes about other ordinary children and teens who’ve stumbled into a wardrobe of their own. 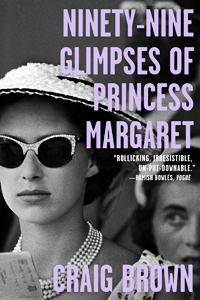 In a past life, Samantha was a photojournalist and managing editor for newspapers and magazines. She lives with her husband and two kooky dogs in Austin, Texas. Samantha is the Regional Advisor for the Austin chapter of the Society of Children’s Book Writers & Illustrators, and explores wardrobes every chance she gets. A few weeks ago, it was my husband’s birthday and I wanted to make him a nice roast. I couldn’t find the type of roast I usually cooked, so I bought something different, found a fantastic recipe and got to work. But as the meal got closer to being finished, I realized it wasn’t coming out as I had planned. And the thoughts that always hit me when this happens — I can’t do it; I’m a failure; I’m not good enough — slammed into my brain. Feelings of inadequacy have been part of my life as long as I can remember. I was a shy, only child who was stuffed full of fear. It didn’t stop me from trying or even achieving; it just stopped me from truly believing in myself. I had a big imagination, and if I could imagine myself winning at something, I could also imagine myself failing. The failing was the easiest to believe. Stories were my savior, though. In books, I could imagine I was all the characters who accomplished things at the end: smart Nancy Drew who could solve any crime, the resourceful Little Women, the trusting Lucy and her siblings as they battled the White Witch in Narnia. These children were afraid, but they believed and didn’t let fear stop them. As I grew older, I held them close to my hearts and soon wanted to create similar characters of my own. But that fear of failing plagued me, so it shouldn’t surprise me that it ended up the theme of my debut novel, The Boy, The Boat, and The Beast. In the book, a boy wakes alone on a mysterious beach with no memory of who he is or how he got there. All he has for company is a voice in his head, an inner bully, that tells him he’s not loved and is too scared to find his way home. I didn’t set out to write a story about fear and doubt, but when I got to the end of the first draft and the boy’s purpose made itself clear, I understood why this story had come to me. I’m not alone in these feelings. In her TEDx Talk from 2013, UC Davis Social Psychologist Alison Ledgerwood discusses how people tend to focus on the negative. She recommends we look at the positive parts of our lives to re-train our brains. I think this is great advice, but often, my inner bully won’t allow me to see positives. That happened a lot while I was working on The Boy, The Boat, and The Beast. The structure of the book is unusual, the characters minimal, the language deliberately paced, the novel was unlike any other I had written before, and it terrified me. Still, no matter how many times I thought I couldn’t make the story on paper as good as the one in my head, or how often I thought that no one would ever publish it, I couldn’t let the boy down. He had an inner bully as mean and horrible as mine, and I had to find a way to silence it. Hope – When my inner bully told me I couldn’t write the book, it was very easy to give up. After all, if I was going to fail, what was the point in continuing? But the story would not leave me alone, and that gave me a thread of hope. Hope is a very powerful thing. It can buoy someone through the toughest times. I believe it’s when we lose hope that we truly give up. So when my brain told me I wasn’t good enough, I held onto my hope. Even if I wasn’t good enough, perhaps I could at least be good. Hope is like your super power; it will feed you when times are tough. No matter how bad things get, hold onto hope, even the smallest piece, and it will lead you through. Focus – My feelings of inadequacy ruled a lot of my thinking during my journey to publication. Every rejection seemed like a stamp of approval for every time I’d thought I couldn’t do it, and I got a LOT of rejections. Eventually, though, I changed my focus. Instead of focusing on the goal of publication, I focused on the goal of writing the best book I could write. And by that, I mean the best book I could write. (Think of the “I” here in bold italics and three times as big – that’s how important it is.) Comparisons with others fuel self-doubt like oxygen to a fire, so I had to recognize that my journey was just that – my journey. Focus on what you can control – your work – and let the lives of others be theirs, not yours. Faith – My faith tells me I should trust that God will take care of me; I do the work and leave the rest up to God. It’s wonderful to think that I can give all my worries to God and concentrate on living, but it’s not the easiest thing to do. Worries fester, and even if I manage to push them away once, they weasel their way back in. But I’ve found that the more I do put my worries into God’s hands, the happier I am, the more I’m able to accomplish, and the less I doubt myself. No matter whether you believe in God (or some kind of higher power) or think this life is all there is, try giving your worries to something else. Write them on a strip of paper and put them into a jar, knowing that they’ll be there if you ever need them. (Trust me, you won’t.) It’s amazing how lighter you can be with fewer worries dragging you down. Accept – A big part of my self doubt comes from thinking I need to be a certain way: prettier, smarter, luckier, faster… But accepting who I am, flaws and all, goes a long way toward silencing my inner bully. The saying that “nobody’s perfect” is true, and there’s no use trying to be; even saints have flaws. Our imperfections and how we rise above them are what make us courageous, and more interesting. Next time you start to doubt yourself or think you need to be more (fill in the blank), think of the good things about yourself. Sometimes this will be hard. If I fall too deep into a bout of self-doubt, my flaws loom larger and larger. Breathe, relax, take a minute to look at nature, then think again. Repeat as necessary. 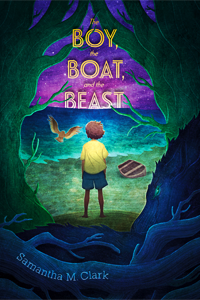 In The Boy, The Boat, and The Beast, the boy must face his fears and conquer his inner bully. Writing his story, I had to learn to believe in myself too, that I was enough. If you’ve got an inner bully, or you know a kid with one, download the Make Your Own Courage Art Therapy program for Caregivers on my website. Designed by myself and author and clinical therapist Bonnie Thomas LCSW, the Make Your Own Courage Art Therapy Project has fun thoughts and exercises to help people find comfort and confidence just like the boy in The Boy, The Boat, and The Beast. The Graveyard Book meets Hatchet in this eerie novel about a boy who is stranded on a mysterious beach, from debut author Samantha M. Clark. A boy washes up on a mysterious, seemingly uninhabited beach. Who is he? How did he get there? The boy can’t remember. When he sees a light shining over the foreboding wall of trees that surrounds the shore, he decides to follow it, in the hopes that it will lead him to answers. The boy’s journey is a struggle for survival and a search for the truth — a terrifying truth that once uncovered, will force him to face his greatest fear of all if he is to go home. This gripping adventure will have readers hooked until its jaw-dropping and moving conclusion. Samantha M. Clark’s first novel heralds the arrival of an exciting new voice.